As every organisation is different and every project has its own specific requirements, there are very different approaches to what a brief should be. But no matter what the project is – a fundraiser, awareness campaign or a brand development project – it must have a brief. A good brief is as much about anticipating problems as it is giving direction. From a design perspective, and to get your designers to think deeply and creatively about your project, the brief should provide key, useful information – a list of parameters, requirements and restrictions. The list below is a checklist for you to refer to – not everything will be relevant to every project, but it is a useful guide to what your designers will need to do their job properly. What response are you looking for? What’s happening in the market at the moment? Will you be commissioning photography? Do you require the designer to source stock images? Infographics? Will these be static/interactive? Charts and graphs to draw? Does it have to fit with other communications material? Is it being produced in partnership with other departments, external agencies? Do you require a web-ready version for your website? Where do you want it delivered to? Please be honest about your budget. If the designer thinks it’s not feasible you can discuss other options. What do you want the deliverables to do for your organisation? What does success for this project look like – how will you measure it? Writing a brief can be time-consuming and seen as unnecessary, particularly for communications professionals under pressure to deliver. An easy and quick alternative might be to send a two or three line email to your designers in the hope that they’ll know exactly what you want – and sometimes they might. But a well-written brief with clear objectives sets up good communication at the beginning of the design process, ensuring the process for approval is ultimately much smoother, which saves you time. With an ever-increasing focus on accountability, taking the time to write a design brief will help you demonstrate how each particular item of content contributes to achieving your organisation’s objectives and will make it much easier to defend your design choices. 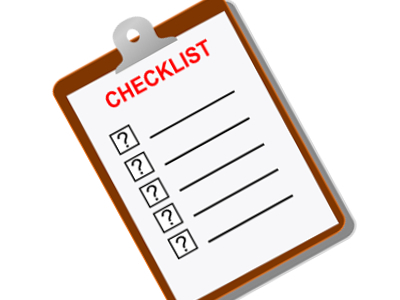 Following our checklist will ensure your designers are clear about what you want and why, saving you time and money. Chris has over 25 years experience in design consultancy and marketing, working with large creative agencies and small design teams. For the past 15 years Chris has been working closely with nim design developing design services specifically for charities, social housing providers and not for profit organisations. More recently she has become a qualified digital marketer and is now working towards developing a range of digital services with nim design for charities.